Chapter 13 of the United States Bankruptcy Code is designed to combine all debts into one repayment plan, which lasts 3 – 5 years, with a payment which is affordable at the time of filing and is subject to change if your personal and/or financial circumstances change significantly during the Chapter 13 Plan. 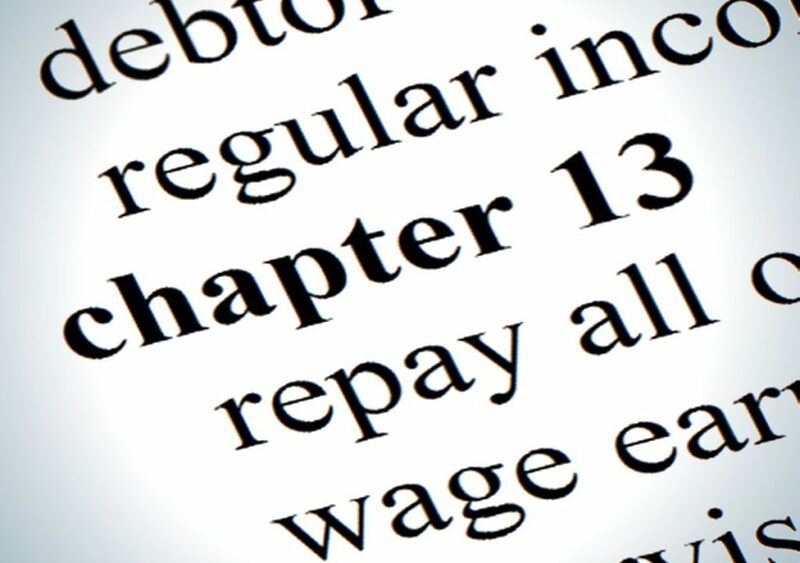 Chapter 13 bankruptcy is limited to individuals and unincorporated businesses with regular income and total secured debts less than $1,010,650 and unsecured debts less than $336,900. To qualify as a “regular source of income”, the income is not required to be from wages, but must be sufficiently definite and certain to permit consistent payments to the Trustee on a regular basis. So Why File Chapter 13 Bankruptcy? Stop Foreclosure, repay the Mortgage arrearage through the Chapter 13 Plan while you remain current with Mortgage payments after the Chapter 13 case is filed. Avoid junior mortgages on your home if the value of your home is less than the payoff balance due on the senior mortgage. Stop Auto Repossession and payoff the contract at a reduced interest rate or, if the underlying purchase contract was signed more than 910 days prior, then the amount repaid need not exceed the market value, plus interest. You are not eligible for another Chapter 7 case if you have filed a previous case under Chapter 7 during the preceding 8 years. The “Means Test” may presume a Chapter 7 case would be an abuse. The Means Test is a rather complicated calculation which was introduced with the BAPCPA of 2005 and includes a variety of factors, including: marital status, gross income during the 6 months before filing, household size, payments on financed autos and other secured debts, certain tax debts and projected income tax, among others. If the combined gross income of your household during the preceding 6 months and the household size exceed certain Federal and State guidelines, the Means Test may require a Chapter 13 bankruptcy repayment Plan instead of a Chapter 7 case, it may require the term of the Chapter 13 Plan to extend to 5 years and may also determine the required minimum monthly payment. To determine the impact of the Means Test on your situation, supporting information from these categories will be necessary.